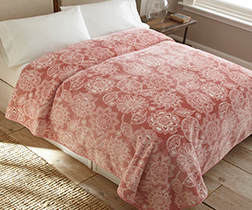 Sleep like royalty in the luxurious comfort and floral design of our fantasy coverlet. 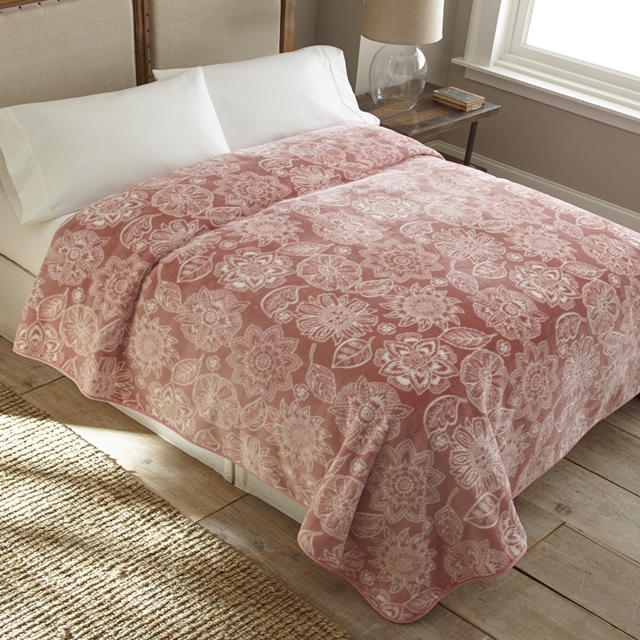 Cover yourself in the cozy softness of our high pile oversized coverlet. This queen size 90 in. x 90 in. blanket will look great in your bedroom, or as an oversized throw to keep your whole family warm while watching a movie on the sofa. This blanket makes a great gift. Fits full or queen size beds as a bed blanket or bedspread.